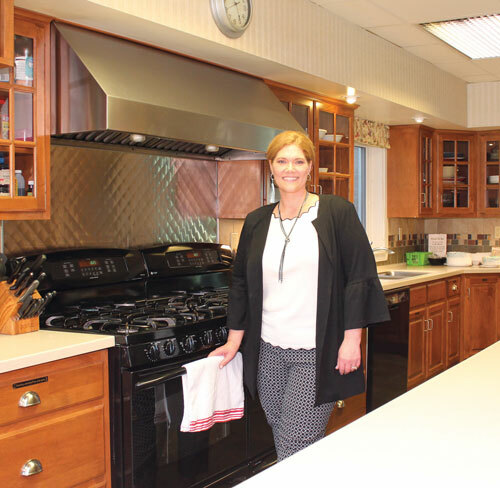 “The Ronald McDonald House is built on the simple idea that nothing else should matter when a family is focused on the health of their child,” Karla Mitchell, executive director, Ronald McDonald House Charities of Central Pennsylvania, said. This married mother of two teenagers grew up in the Snyder and Union County area of Pennsylvania. She was active in sports and civic engagements in high school, and when entering college, initially chose to major in marine biology. Mitchell by the fireplace in the comfortable family room at the RMHC–CP. But her focus changed when she watched a friend who was a recovering alcoholic making the intense effort necessary to work through that process. She then went on to earn a master’s in counseling psychology with a specialization in addictions and to achieve her Employee Assistance Professional Certification, which allowed her to work in the addiction and EAP field for several years. When Mitchell and her husband moved to the local area, she found it difficult to find any open positions in her field, so she decided to try something new when she saw an opening for a campaign associate. “I soon found myself working in development for United Way of the Capital Region,” she said. It was a whole new direction for her, but something she found she truly enjoyed and quickly grew to love. 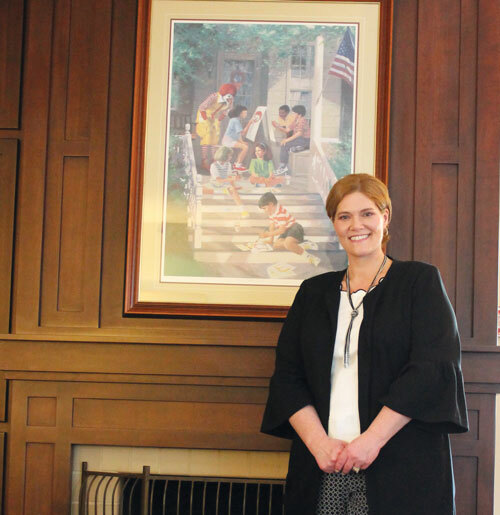 During her 15th year at UWCR, after having successfully served in various positions within that organization, Mitchell was approached about the open executive director position at Ronald McDonald House Charities of Central Pennsylvania. “As a parent, the RMHC-CP mission resonated strongly with me,” Mitchell said. In November 2016, she joined the team as executive director. In her role, Mitchell leads the strategic and operational direction of the organization. 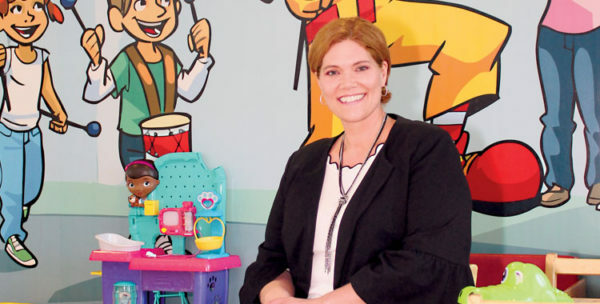 There is also a Ronald McDonald family room within the hospital where families are provided with a place to simply “rest, relax, and regroup,” she said. “To reach more families, our hospitality cart travels to lounges throughout the hospital to provide snacks, microwavable meals, and crafts along with the comfort and support the RMHC brand has become so well known for,” Mitchell said. Mitchell in the well-equipped kitchen at the RMHC–CP. Every service offered through the RMHC-CP is at no charge to the families, thanks to the support of the local community. No two days are alike for Mitchell, and she wouldn’t have it any other way. She is also quick to point out, though, that it takes a team to make things run smoothly. Mitchell explained that because she and the rest of the staff and volunteers are sharing significant life moments with the families they are serving, they can’t help but become a part of each other’s stories. Yet there are many success stories that provide comfort in those hard times, and Mitchell said that often families who stayed at the RMHC-CP in the past will regularly visit, write, and donate to help families like their own. A strong believer in the power of volunteerism, Mitchell said that she’s seen firsthand throughout her entire career just how important volunteers are to a local community. Currently, she is involved with the Rotary Club of Hershey and the Women’s Leadership Network for UWCR. Mitchell said there are two truths she has learned that she will always consider to be personal, foundational values for her. As society changes, so must the work of charities, and as she looks ahead to the next few years, Mitchell feels she is up to the challenge of successfully orchestrating the process needed to continue providing the important services RMHC-CP has always been known for.